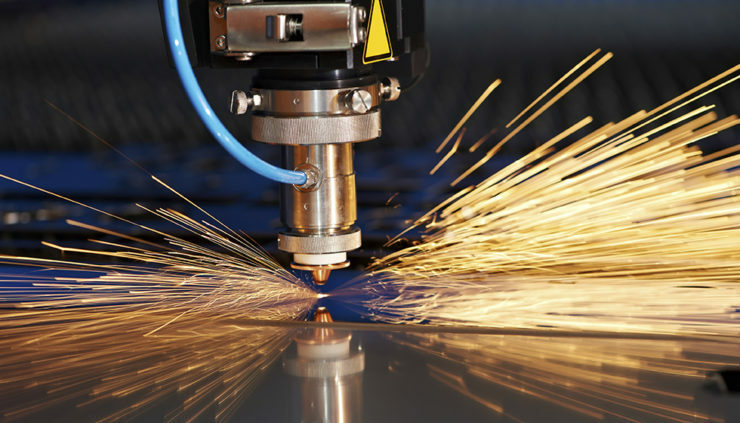 Future Trends in the Manufacturing Industry | OhGizmo! Manufacturing might be going through tough times, but it still is, and always will be, a vital part of the economy. It has a strong influence on other sectors and growth will create expansion and jobs in many industries. Given that it forms such a critical foundation for the economy, what can business leaders do to ensure stability and growth in their manufacturing endeavors? Future trends in the manufacturing industry all depend on innovation in processes, skills and technology. As we enter the fourth industrial revolution, innovation is going to be one of the key factors in driving growth in manufacturing. The landscape is changing dramatically, and it is necessary to create new opportunities and make the sector stand on its own in global markets. Companies must be nimble and quick to adapt to an ever-changing market. Innovation often centers around increasing critical speed-to-market times. Driving innovation will boost the manufacturing industry while having a positive ripple effect on various other areas of the economy. The world around us is evolving at breakneck speed, and the rate of change is only going to increase. We are at the onset of the fourth industrial revolution, and the term may be taken in a literal sense. If workers and companies do not change and adapt quickly and continuously, they are going to be left behind. We have seen it happen in entire industries or groups of highly skilled and experienced workers that suddenly find their assets no longer in demand. As automation increases and there is a greater reliance on AI and robotics, the situation will only worsen. More skilled people will be left stranded while a significant skill shortage will open up in other areas. As much as this revolution poses a few threats, the opportunities are far greater. Talent-driven innovation is critical to avoid gaps and remain competitive. Responsibility must be taken by both the companies as well as the individuals for them to effectively up-skill and re-skill. The smaller the skills void, the better for the manufacturer, as well as the workers. One saving grace is that along with increased complexity in manufacturing comes innovative software solutions and great advancements in Enterprise Resource Planning, or ERP for manufacturing. These systems allow the organization to improve efficiencies, streamline processes, and, ultimately, make sense out of the wealth of data the business generates daily. Businesses can now streamline their production across multiple areas, including the supply chain, inventory control, logistics, production quality, and more. The data also gives accurate and up-to-date forecasts and reports which help in decision-making and planning. If skills are not improved, and a skills gap develops, the situation will have dire consequences on individuals, the global manufacturing industry, and the economy at large. The most effective way of preventing this is using a public-private partnership. The education system must evolve fast enough to provide relevant industry-based training that is up to private sector standards and expectations. This needs to be combined with on-the-job training and be driven by public policy. One of the main trends influencing the manufacturing industry right now is the rampant growth in technology shown in various forms from robotics and artificial intelligence to the Internet, IoT, and 3D printing, to name just a few. As companies strive to improve efficiencies and increase productivity to remain competitive, these technologies will play an increasingly important role in the sector. If manufacturing companies can adapt to changes and use innovation to manage the various obstacles, there should be a bright future for the industry.